How I can get franchise of Indira Gandhi National Open University for my college? I want to open a college in Mumbai. So I need that I can get franchise from this University. So please give me official contact number of Registrar of Indira Gandhi National Open University where I can get full details about it. 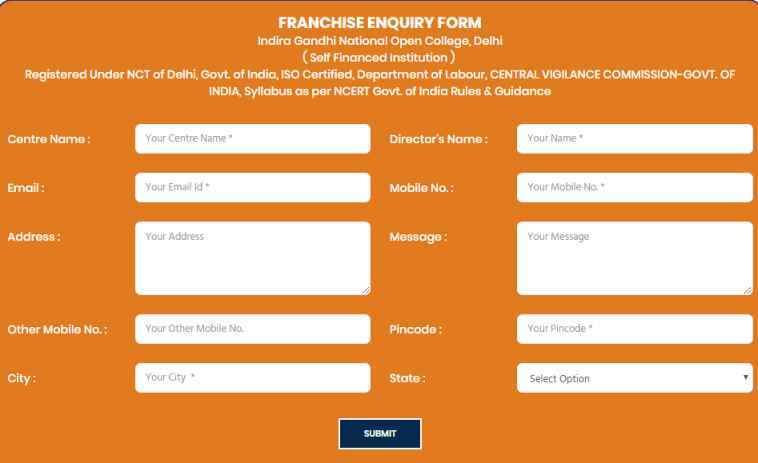 Hi Sir, I Wants to get the Franchise Enquiry Form of the Indira Gandhi National Open College Will you Please Provide It ?